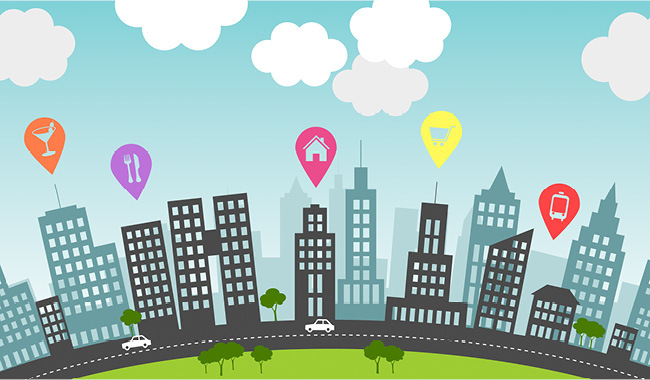 How your business is listed on local directories is one of the most important factors for ranking well in the local search engines. But first, what is a local directory? Basically, local directories help your business get the essential details about your business out to potential online and mobile customers who are searching for a business like yours. While many of your potential customers search Google or other search engines for information on local services, inevitably a large portion of them find their way to local business listings. Many of these directories not only have substantial marketing budgets to drive traffic, but they also do well in organic search rankings for important search words or terms related to your business. So even if you can’t get your own website ranked high for a specific search term, you can appear on the local directory site that ranks high for that term. Remember a few years back when people would Google themselves to see what would come up? Well, you have to do the same for your business. Double check the business info is correct and up to date. If it’s not, each directory will give you the option to update the information. Some take longer than others. So make notes to follow up in two weeks to see if the info was changed. A company that specializes in local SEO can do this very quickly and will check on behalf for you. They may even be able to give you some basic reports of how your business is ranking, how consistent you are on all directories, and how to enhance your online presence. Given that over 70% of Internet searches are for local business services and products, and 59% of consumers use Google every month to locate a local business – I’d say this focus on local search results is highly warranted. Perhaps even more important is that links to your site and mentions of your business can help your site rank well in both organic search as well as in the search engine results. 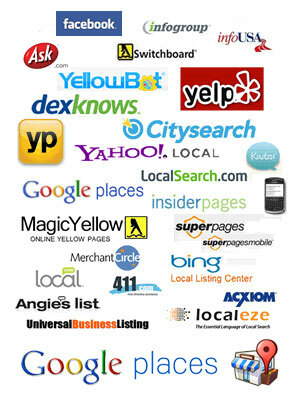 Some of the bigger local directories are Google +, Bing Local, YellowPages, Yelp, CitySearch, Local.com, Yellowbook, Superpages, Apple Maps, and several more. 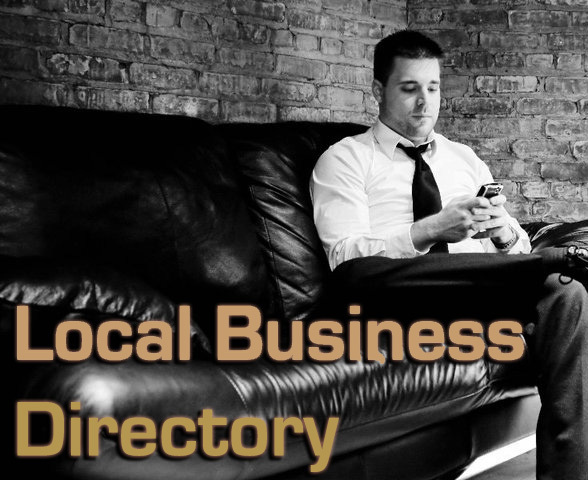 In fact there are more than 100 local directories that your business could be listed under. Again, this is where a specialist in local directories can lead you to which directories to go with and why each is important. Your business is mentioned all over the internet. Having your business listing in as many business directories as you can is important for local SEO (search engine optimization). What’s very important though is having your business listed consistently in these directories. Having the name, address, and website, and phone number of your business listed the same on each directory will ensure search engines know your business and it’s location. Any variation and Google with get confused. As smart as Google is, if it sees your business listed with different names, addresses, or phone numbers, it will start thinking each of those is a different business. This is an issue if you have changed addresses or phone numbers recently. So how can you make sure you’re business listings are consistent and ranking your business? If your business calls itself “Joe’s Pizza” in one place and “Joe’s New York-Style Pizza” in another place, there is a chance that Google and the other search engines might see that as two separate businesses when it comes to indexing your business. Make sure one title is used for your business, and make sure that you add yourself to whichever directories you choose using the same business title. Though it is possible to do the listings yourself, they are tedious and time-consuming and you probably don’t have that sort of time to devote to listing on each directory site you would like and have it stay consistent, let alone add extra features. In fact, many businesses don’t even know there are so many extra enhancements they can add such as photos, menus, coupons, company bios, services, multiple links to your website, your logo, hours of operation, and a featured message, just to name a few. Because of the vast amount of info that can be added to each directory, it may be easiest in this case to hire a company specializing in enhanced local directories to make sure you are listed correctly and consistently and also utilizing all the extras to really enhance your rankings in key words and phrases for your specific business. Many local search engines allow you to place your business into a number of categories—usually between two and five—that help describe the nature of your business. Again, this is a tedious task if you want to be listed on a lot of directories (which you should be listed on many). However, it is a vital step step in creating your local business listing. The search engines use category data when deciding which businesses to show for particular searches. The search engines will not display a business that is uncategorized—or even worse, miscategorized—for particular sets of keywords. This usually happens among keywords and phrases that are the most competitive—where there are already a number of businesses associated with a particular category that might satisfy what the searcher is looking for. Reviews and ratings can persuade prospective customers who are looking for the goods and services you offer. While a bad review can encourage someone to hit their “back” button and perform another search, a good review can encourage someone to pick up the phone and call you! Because reviews and ratings are displayed in so many different ways across different search engines, there is some debate about how much reviews or ratings of a business influence its SEO ranking – but reviews can definitely influence a potential customer’s decision to choose your business over another. It’s important to engage all of your customers—and especially to get your best customers to leave a review of your business on their preferred search engine or portal. Likewise, it’s important to recognize when someone has left a negative review of your business. Reach out to that customer and find out why they had a bad experience with your company, and see if there is anything you can do to change their opinion of you. As a business owner, you should closely follow how your brand is represented online – what’s being said online about your company and your products/services. In the past, competing with other businesses in your industry was impossible given the sheer amount of content they had online. However, this all changed with the aforementioned focus on local search results. Enhanced local directories lets you keep yourself on the minds of your potential customers at all times.